This Agreement forms the general conditions of sale under which Tour Tempo Europe B.V.® (herein after called “TTE”) with address Nieuwe Diep 40, 4465 AB Goes, The Netherlands contracts with consumer for the sale or the supply of Goods and Services. All orders are subject to the conditions set forth in this Agreement. The definitions shall include the singular as well as the plural. The Dutch language of the Agreement is governing. 1.13. Privacy Statement: The Data to be recorded by TTE for the fulfilment of the Distance Sale, and as displayed on webpage https://tourtempo.eu/privacy/. 2.1. Prior to the Distance sale as exhibited by Seller′s Communication techniques by distance Consumer may acquaint himself with the Agreement as published on the website. Consumer may request a copy of the Agreement via e-mail or via the website contact form (www.tourtempo.eu). 2.2. The Agreement is applicable to any contact between Parties irrespective of the method of communication. 2.3. No amendment to the Agreement shall be effective unless evidence in writing and signed by the Parties to the Agreement. 3.1. The Goods and Services will be clearly displaced and described as reasonably can be expected including transparency with regards to the commercial conditions. Any offer will be given with limited time validity as stated. 3.2. Any Offer will be supplied with the necessary information to Consumer on the commitment that goes with the transaction, particularly regarding Price, Consideration term, method of payment, terms of Call-off transaction, transport costs and other conditions. 3.3 Should Communication technique by distance through other means be made with Consumer on a different cost basis then Parties will prior agree on the extra costs. 3.4 Seller shall request from Customer prior approval for further promotional activities involving Communication techniques on distance. 3.5. While every effort has been made to portray items accurately for Distance sales and other advertising materials, slight variations may occur. All measurements quoted are approximate and the reproduction of colours is as accurate as photographic and publishing processes will reasonably allow including the settings of individual Consumer′s apparatus′. 4.1. The Offer shall include a fourteen (14) day Consideration term, starting as of the first day following receipt by Consumer of the Goods unless otherwise agreed between Parties subject to clause 4.3. 4.2. During the Consideration term Consumer has the right to return the Goods. All returned products must be in new, unused condition in their original packaging and shrink wrap as appropriate and with all documentation. Consumer shall pay the cost of packaging and transportation back to Seller. In case of the use of Services by Consumer the cost of the Services up to cancellation by Consumer shall be borne by Consumer. 4.3. Limitation or exclusion of the Consideration term shall be clearly stated in the Offer or in the Agreement between Parties. 4.4. 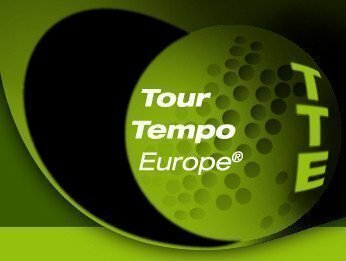 Consumers may cancel any order made within the Consideration term by e-mail to support@tourtempo.eu or by letter, subject however to clause 5.3. 5.1. Consumer may complete the order through Distance sale and the transaction shall be in place when the Agreement and Offer have been accepted by Consumer. Seller shall accept the order until payment through the Distance sale (credit/charge/debit card or other acceptable payment method) is processed. Any e-mail, on-screen receipt or other acknowledgement of the order is merely to report that Consumer′s request has been received and does not in any way denote acceptance regardless of any wording on the e-mail or the receipt. Seller reserves the right, at any time prior to acceptance, to refuse any order or any part of an order, or to require further or better information to enable itself to evaluate and/or process the order not limited to i) verify Consumer′s credibility, ii) verification of Consumer′s permanent place of residence. 5.2. In case a Consideration term is applicable the call-off by Consumer of the Consideration term shall be deemed cancellation of the order. 5.3 Seller may invoke, in agreement with legal terms, additional conditions (“koop op proef”) and/or to suspend Consumer′s right to the Consideration term. 5.4 Should an advance payment by Consumer be made and the order be cancelled, provided that Goods have not been dispatched to Consumer, payments made will be credited to Consumer within thirty days. 5.5. Seller has proper state of the art technical and organisational methods of electronic payment in place. 5.6. Personal information will be recorded and treated in line with Seller′s Privacy Statement for Distance sales. 5.7. Should Consumer note an obvious error(s) with the Distance sale, Consumer shall notify Seller forthwith (sales@tourtempo.eu) . Consumer will keep any Goods so delivered under its custody and Seller will notify Customer how to process the error. Consumer will act in all fairness and act reasonably in order to safeguard the Goods. 6.1. During the term of the Agreement prices will not be increased, unless legal requirements, such as but not limited to VAT require Seller to do so or in case variable pricing between Seller and Consumer have been agreed in writing. Consumer may cancel the Offer on the day that a price increase occurs, provided Goods pertaining to the Offer have not been dispatched by Seller. 6.2. All prices are quoted in Euros and do not include cost of delivery and packaging. Should import duties for overseas delivery or deliveries outside the European Union be applicable, then these costs will be charged to Consumer. 6.3. Payment shall be made at the time that the order is placed. Payment may be made by major credit card and debit cards; Visa, Euro/ MasterCard, American Express (or by bank transfer for some countries). Other credit cards are not accepted. Goods will not be despatched until Seller has received confirmation of cleared funds. 6.4. Prices quoted are inclusive of VAT and are current at the time of publishing. Seller reserves the right to effect changes without prior notice. Prices will be as confirmed by Seller upon confirmation of the Order. 6.5. Seller reserves its right at any time to correct clerical omissions and errors without any liability on Seller′s part. 6.6. Ownership of the Goods delivered or to be delivered by Seller shall only be transferred to Consumer when the Goods have been delivered to Consumer, Seller has received cash or cleared funds in full payment of all sums owing to Seller in respect of the Goods and in respect of any other agreements between Parties. 7.1 Goods are delivered to Consumer with a one hundred and twenty (120) days guarantee as provided by the manufacturers of the Goods. Consumer may further be entitled to legal guarantee terms. 7.2. In relation to faulty Goods: 7.2.1. For completed Orders under 30 days old (from date of despatch by Seller) Seller will exchange the item at the expense of Seller. 7.2.2. For completed Orders over 30 days old (from date of despatch by Seller) and less than twelve months Consumer may return the Goods. Seller will contact the relevant manufacturer in order to have the Goods inspected and at their discretion, either repair, replace or return the Goods to Consumer. If the manufacturer determines the Goods are faulty, then Seller will reimburse reasonable costs that were incurred when the Goods were returned (upon production of valid receipts by Consumer). 7.2.3 Seller accepts no liability whatsoever for Goods not received or damaged in transit. 8.1. Seller will act in accordance with the best practices in Distance sales and Communication techniques by distance as can be expected from a prudent Seller. 8.2 Delivery to Consumer will be made to the address specified by Consumer to Seller at the time of acceptance of the Offer. 8.3. Seller will despatch the Goods in conformity with Article 3, yet within a thirty days term. Should the Goods be out of stock or otherwise not be available or delayed, or an order can only partly be executed, Consumer will be notified within the thirty day period. Consumer may subsequently cancel the order upon such notification to Seller without costs to Consumer. 8.4. Should Goods as ordered not be available Seller may offer to Consumer an alternative article. 8.5. Seller shall be under no liability whatsoever for delay in delivery or the consequence thereof however caused or non delivery of Goods. Seller will take reasonable steps to notify Consumer within fourteen days of order confirmation if Goods will not be shipped as ordered. 8.6. When Goods are delivered Consumer should carefully check the documentation to ensure that the number and contents of the packages due to be delivered corresponds to the number and contents of packages received. 8.7. If Consumer believes that there are shortages in the number of Goods contained in the packages or if any damage has occurred to the Goods during transport Consumer shall report these to Seller within two working days of receipt of the Goods and this must be confirmed in writing and any damaged Goods returned to Seller in accordance with Articles 9 below. 9.1. Return transportation costs will only be refunded where Seller have sent incorrect Goods in error. 9.2. The provisions of Article 9. shall not apply in respect of any Goods which are: 9.2.1. of a perishable nature; 9.2.2. sealed audio or video recordings or computer software where sealing has been removed; 9.2.3. Goods which have been supplied according to Consumer′s particular specification or which are personalised; or 9.2.4. books and magazines. 9.3. Goods described above at 9.2.1. to 9.2.4. inclusive cannot be returned unless: 9.3.1. there has been a delivery error; 9.3.2. such Goods are returned in response to a product or batch recall; or 9.3.3. such Goods are damaged or faulty; 9.4. Goods which are returned to Seller must be accompanied by a copy of Consumer′s delivery note or a covering letter stating Consumer′s name, address and order number and reason for return. 9.5. Any returned parts or Goods lost, damaged or defaced in transit to Seller will not be credited. If Consumer has not received an acknowledgement or credit note from Seller within fourteen days Consumer should notify Seller. 9.6. Any returned Goods must be returned at Consumer′s own cost and must be packed in its original packaging and suitably labelled addressed to Seller. Goods must be returned in the same condition that they were in when despatched to Consumer. For contact details see the website. It is recommend that Consumer uses a reputable courier or Recorded Delivery. Please retain any proof of posting, receipt or tracking number for any Goods returned as Seller cannot accept responsibility for Goods until delivered and signed for by Seller. 9.7. Unless expressly authorised by Seller in writing, any Goods can only be returned for credit if unused, complete and in the original packaging. Please note: If Consumer returns Goods (which are not faulty) for exchange Seller will charge Consumer for shipping the new Goods back to Consumer. 9.8. Subject to Consumer′s legal rights of cancellation and rights under the Agreement, an order can only be cancelled at Seller′s discretion. 9.9. On no account can cancellation be accepted for Goods not provided under the Distance sale when sourced by Seller on Consumer′s behalf. 10.1. Call-off transactions agreed between Parties can be cancelled by either Party at any time with a three month notice. 10.2. Call-off transaction agreements have a limited term of twelve months. 10.3. In case Parties agree to an option for extension of the agreement on Distance sale the notification period during the extended period will be a maximum of three months such to be agreed in writing between Parties. 11.1. Subject to Condition 11.3. below and save as otherwise expressly provided in the Agreement, all warranties, conditions or other terms whether express or implied by statute or common law or otherwise are excluded or limited to the fullest extent permitted by law. 11.2. Subject to Condition 11.3. and to the full extent permitted by law Seller excludes all liability for any loss, damage or expense howsoever suffered or incurred by Consumer as the direct or indirect result of the Goods either not being of satisfactory or merchantable quality, or fit for any purpose, or conforming to any description and Consumer hereby irrevocably waive all rights and/or remedies (if any) which Consumer may have or have had in respect of such loss, damage or expense and/or in respect of any breach or default of any warranty implied by statute, equity or common law concerning the quality, fitness or description of the Goods. Seller shall not be liable for incidental or consequential damages for any breach hereof. 11.3. Conditions 11.1. and 11.2. do not apply where Consumer deals as a Consumer to the extent that such exclusions or limitations are not permitted by law. 11.4. Save where expressly provided otherwise in the Agreement Seller′s entire liability under or in connection with any order or the Goods or Services under the Agreement shall not exceed the price of the Goods or total payment made for the Services. 12.1. This Agreement shall be governed by and construed in accordance with the laws of the kingdom of The Netherlands only. 12.2. Any dispute or claim in connection with prior Offers or the Agreement on the provision of goods or Services, may be invoked by either Consumer or Seller. 12.3. Prior to any dispute or claim made Consumer shall act reasonably and fair and allow Seller to remedy Consumer′s complaint over a reasonable time period. 13.1. If any provision of this Agreement is held by any competent authority to be invalid or unenforceable in whole or part the validity of the other provisions of this Agreement and the remainder of the provision in question shall not be affected. 13.2. Seller shall not be liable to Consumer for any delay or failure to perform its obligations hereunder due to Force Majeur or causes or circumstances beyond reasonable control, including but not limited to, acts of civil or military authority, national emergencies, fire or flood, strikes, lock-outs and other industrial disputes, acts of God, war or riots, actions or omissions of Third parties. 13.3. This Agreement including the order is the complete and exclusive statement of the contractual relationship between Parties, which supersedes all prior proposals, understandings, agreements, or representations between Parties relating to this Agreement except in respect of any fraudulent misrepresentation made by either Party. 13.4 No delay, neglect or forbearance on part of Seller in enforcing its rights against Consumer shall be construed as a waiver or in any way prejudice any of rights of Seller hereunder. 13.5. Seller may at its sole discretion and without prior warning, change or replace the content of the information provided in connection with Distance sale or Communication techniques by distance on its website(s), including the conditions of Agreement. Consumer may acquaint himself from time to time on the information provided. Any changes under article 13.5. shall not effect close-out of existing deliveries of Goods to Consumer. 13.6. All changes to the Agreement on Distance sale and Communication techniques by distance as published on TTE′s website(s) will be published with an increased version number as represented below.